There is a very special old Dorset lane within cycling distance of where I live. 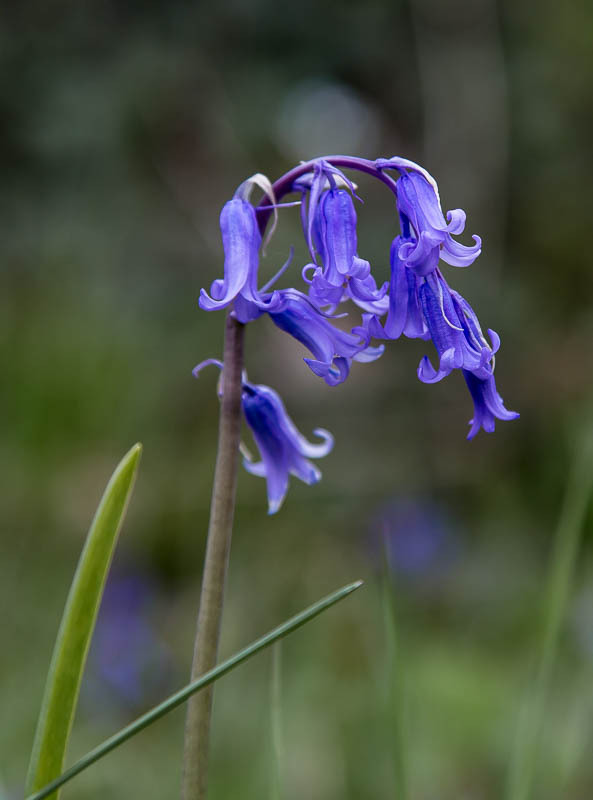 On the way past today (26th April 2015) I spotted a wonderful springtime collection of wild flowers. I went back in the afternoon with my camera. 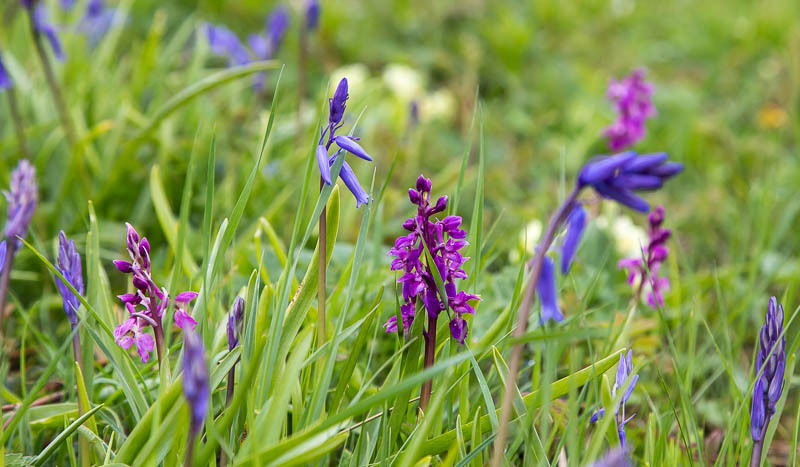 Bluebells and early purple orchids. 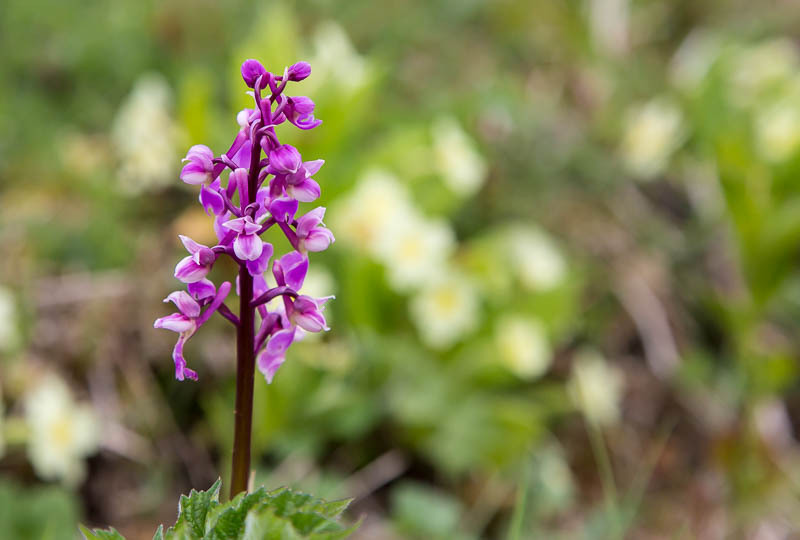 Early purple orchid with out of focus primrose as a backdrop. 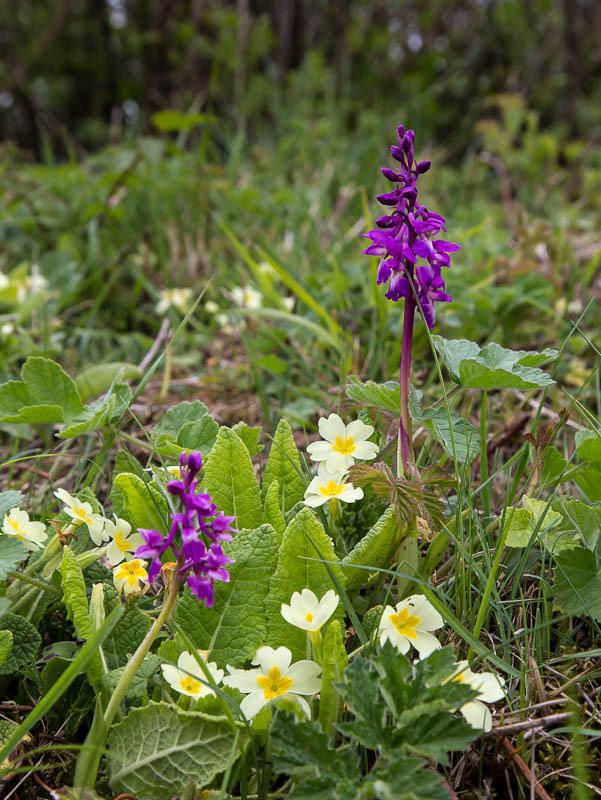 Primrose and early purple orchid. The primroses seem to be later this year. 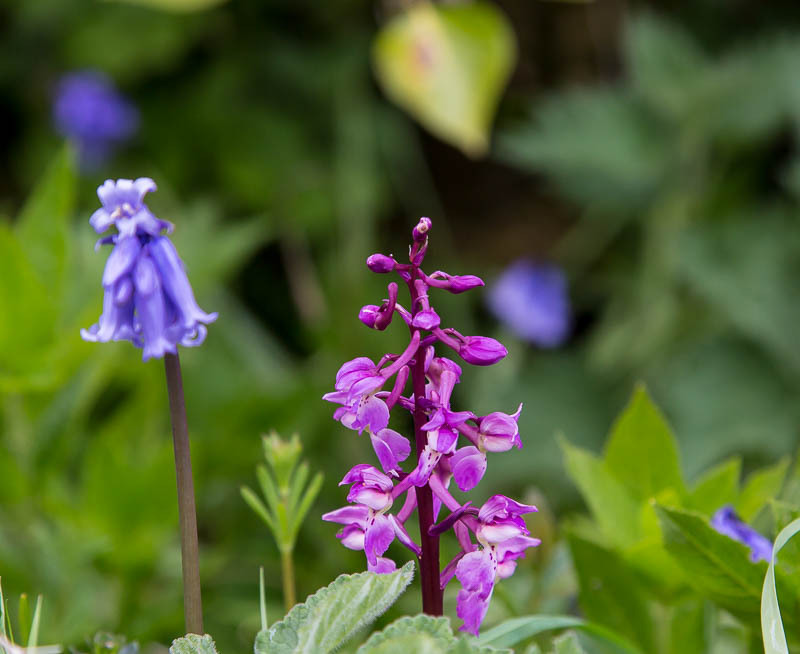 Another orchid flower head amongst the bluebells. I think a drop of water on this flower head would have improved this shot. The first Orchid seen in 2017. 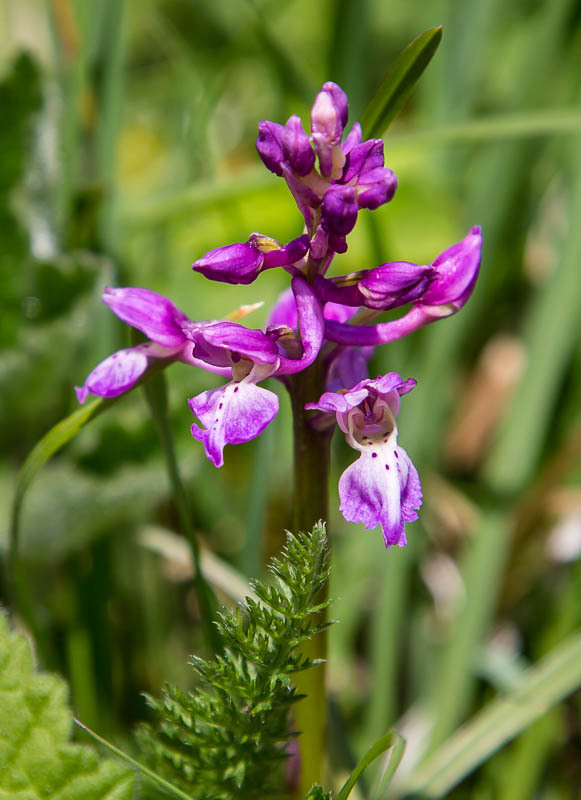 April, Early Purple Orchid.